The tottle selected creates an extremely practical package with a very distinctive and fashionable design. 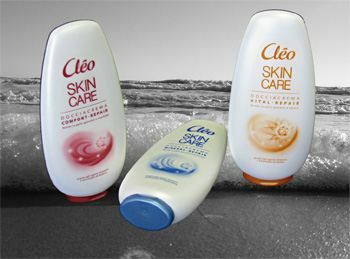 Cleo is one of Italy's best known personal care product lines. The choice to use Giflor's Low Profile flip top caps represents the confidence that the Italian market has in Giflor's products, known for their reliability and usability. Many of the country's main producers of cosmetics and toiletry products have already chosen Giflor's Low profile flip top caps in their various configurations (square,round and oval). Giflor will be showcasing its Cleo implementation at easyFairs' Packaging Innovations this year in Birmingham. The company will be exhibiting along with its UK partner, Thames Plastc Bottles, at booth F34.